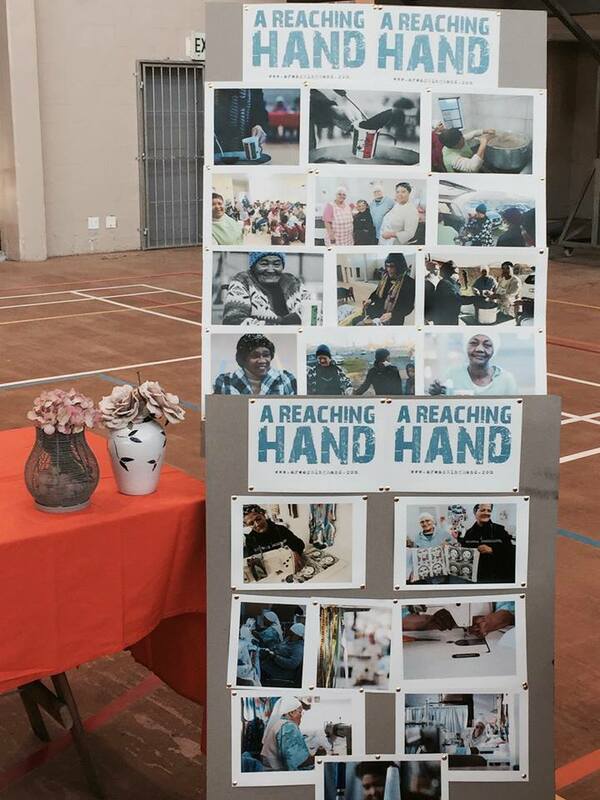 A REACHING HAND CELEBRATING WOMEN'S DAY WITH THE COMMUNITY OF SCOTTSDENE! “When you strike the women, you strike a rock”! This morning we joined the Scottsdene community, a very poor community in the Western Cape, to celebrate Women's Day. We celebrated with women who amidst their struggles remain strong, who continues to smile during times of distress. We salute YOU! Especially our ladies, who get up in the early hours of the morning to cook and serve delicious soup and other nutritious meals four times a week at their local clinic, feeding people living with HIV, disabilities as well as feeding the elderly. During the celebration it was also an opportunity to discuss and raise awareness around women's health issues. It was a great morning of caring and sharing, and we were happy to be part of it. Also saluting Phumeza at the kindergarten in Khayalitsha. Leonie running the creche in Uitsig. Victoria in Khayalitsha who has taken in so many kids to help improve their lives and many many other women we work with in these disadvantaged communities. Not forgetting the women at A Reaching Hand, Karin Hoole, Charlene Blacker, Bev Johansen and Louise Persson. As we say at ARH "A drop of rain is insignificant, but together we can make a river". And it's together with all these women and you that makes it possible to make a difference. Below is some more about the significance of celebrating Women's Day in South Africa on 9 August. How it all began. On 09 August 1956, 20,000 women participated in a national march in protest of pass laws (apartheid legislation that required people of colour to carry identity documentation to prove that they were allowed to enter a ‘white’s only’ area). Four women led the march They were Helen Joseph, Trahima Moosa, Sophy Williams and Lilian Ngoyi. Women of all races and ages got together from all over South Africa and marched on the Pretoria Union Buildings, goaded into action by the fact that the law was about to be changed to restrict ‘African’ women’s freedom movement even further. They delivered their petitions, signed by frustrated and angry women across the land, to then Prime Minister JG Strijdom’s office, then sang freedom songs including the well known, powerful one “When you strike the women, you strike a rock”!